It's the first law of any truly great literary festival that you'll almost certainly wish you could be in two places at once. That's because just about everything you really want to see (or do) will probably be on the same day (quite often at exactly the same time) and in completely different venues. And WORD Christchurch 2018 is no exception to this rule. Something Old: I choose Catherine Chidgey: Transformations (Friday 31st August) because reading In a Fishbone Church seventeen years ago was when I first started to love New Zealand writing, and Chidgey has never let me down since then. She'll be chatting to Morrin Rout about how she brings her own life to her writing. Tom Scott's: Drawn Out (Saturday 1st September) is another choice of mine that stretches back to my early New Zealand days when I would laugh out loud at a Tom Scott cartoon over my cappuccino and huge muffin in the food court next to the old Farmer's in Central Christchurch. I was such a lonely immigrant then. Thanks for the laughs Tom! Something New: I just can't go past The Witches of Gambaga (Friday 31st August). This is a documentary by Yaba Badoe about a group of women ostracised as witches in Northern Ghana. I know nothing about witches or Ghana, and it all seems worlds apart from the venue at the Art Gallery in Christchurch, but how magical is that? 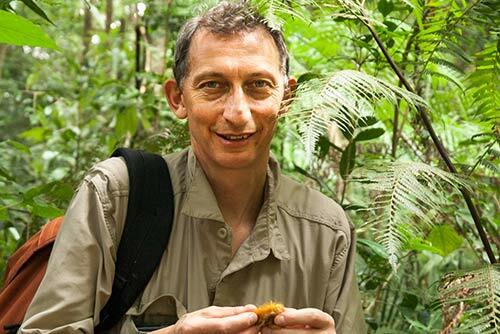 Also new to me is my festival hot favourite Around the World in 80 Trees (Friday 31st August) by Jonathon Drori. I love trees. Were I a tree I would hope to be a tall, straight, slim-waisted Nikau Palm throwing my arms up in the air at the sheer joy of living. Please let me not be tempted to reveal this weirdness at this event! Author Jonathan Drori. Image supplied. Something Borrowed: For me this is all about learning from other peoples' experiences. 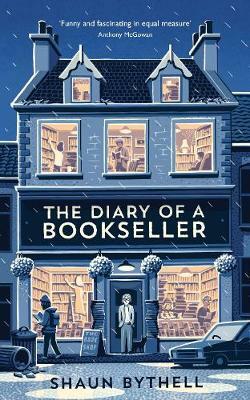 My two picks are The Diary of a Bookseller (Saturday 1st September) by Shaun Bythell - he's young, he's Scottish and in this day and age he sells books. No Brainer! And Explosive Archaeology (Sunday 2nd September) in which a poet, a curator, a novelist and an academic discuss the underappreciated artists they love. I'm bound to learn something off-the-wall here. Something Blue: And finally some luuuuurve. My pick is Let Love In (Saturday 1st September). Catherine Robertson and Michèle A’Court both write about love, but from very different perspectives (romance or quirky realism). But in the end it all comes down to our fondness for our own love stories - question time should be a blast. I feel warm and fuzzy already! And of course in any respectable festival day there'll be the little side forays into interesting cafés. Maybe I'll take in a 20 minute lecture from Cabinet of Curiosities, and I'll certainly loiter in the Piano foyer to get that magic feeling of reconnecting with my literary tribe again. No secret handshake required. Just see you there!